I thought I had said my final good byes to Gatsby. You see, since my “younger and more vulnerable” college days, and decades later, I was obsessed with F Scott Fitzgerald’s The Great Gatsby. This American literary monument to the lure and irony of the American Dream enveloped me through the 1990s, our version of the Roaring 20s that made paralleled sense. 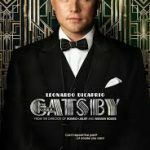 But the 2013 film version by Baz Lurhmann seemed to change my view of Gatsby. I finally saw Gatsby with 21st-century lenses. 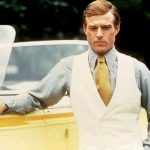 No longer was he the romantic Robert Redford but instead a hard-edged deal making Wall Street banker that lead us to near financial collapse. No longer was his pursuit of Daisy chivalrous and noble but just another transaction for his empire. Even Luhrmann’s Daisy was different; no longer a mindless woman living aimlessly on luxury, but now a woman with ideas, yearning to be someone, but suppressed by the system. Sadly, I moved on and said adieu to the Gatsby of my youth. But it was also invigorating. No longer were we at the whim of carnival barkers or loud marketers who controlled us. No, we had rid ourselves of our obsession to cling to the extraverts who could make money off of us. Instead, we would look forward to the nerds and the introverts who would find new meaning, new heroes, and new opportunities with technology and big data that made sense for multitudes. Oh, brave new world! Then, I heard an out of work factory employee from the Midwest at a Congressional town hall. Wow. Gatsby was back. Or rather Gatsby’s lessons not learned were back. And this was the embodiment of the person who dictated the 2016 election too. We really do live — or are stuck — in the past. But this might be worse, Old Sport. We might have regressed from The Great Gatsby all the way back to his father. 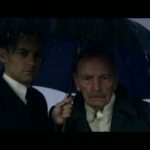 Remember the scene after Gatsby is killed, his father, Mr. Gatz, returns for the funeral and speaks to Nick Carraway, Fitzgerald’s narrator. We see an old man confused by this new world and how it glorified and yet destroyed his son. That seems how far too many of us have fallen. I posted, rather cruelly, that our problem is old, stupid people. Look at all the stories about re-training that is available to Midwestern factory workers that is barely being used. That guy at the town hall meeting speaks for a large majority of those people. Granted, these people need help and some tough love reality. Sure, they were forgotten as trade agreements moved jobs and opportunities offshore. So yes, too many of us were Gatsby-like in our obsession to make deals and profits while forgetting those who could be left behind in this Darwinian economy. Added to the simplicity, however, is an addiction we have cultivated as Americans over the decades. We are addicted to what was the American Dream that, unfortunately, doesn’t exist except in opioids and our entertainment technology culture. It’s easier to medicate with pills, iPhones, iPads, and cable news rather than realize that job from the 1980s and 1990s no longer exists or is now in the hands of a worker in a developing country or being done by software. Remember, The Great Gatsby and the 1920s was a precursor to the 1930s, the Great Depression, and another war to end all wars. Like then, we are stuck as a nation, failing to look at real, underlying problems. The first is an aging society. (Hey, I’m going to be part of the problem soon so I can rail about it.) There will be too many people in society taking an unequal share while not giving back any more. Studies show that Medicare recipients will have paid in only 1/3 of what they will use on medical bills over a lifetime. The rest is paid by current taxpayers. And that bill could be the biggest item in the federal budget over the next 10 years. No one is addressing this. Why? Because older people vote. The second underlying problem is technology. Although it creates opportunities, it tends to decrease jobs and salaries. It is much easier to buy a software rather than hire a person or offer a raise to a current employee. And these are the people expected to foot the bill in the next decade or more for the older generation that is expecting 2/3 of their medical bills to be paid. But it requires a new mindset, a new American dream. We need entitlement reform that encourages people to work and stay healthy while getting retrained for the 21st-century. We need massive infrastructure investment so we can compete with many of the Asian countries that are moving ahead of us when it comes to living standards and healthcare. And many more of us need to start thinking like owners and not workers and start forging our own opportunities. But then again, that requires some hard work. Sure, we still have great advantages here in the US. But we are squandering them by looking backwards. What’s worse than being “borne back ceaselessly into our past” is to be stuck in an old world view ignoring new opportunities waiting for you. Next post: Nice Face! What Do You Feed it?